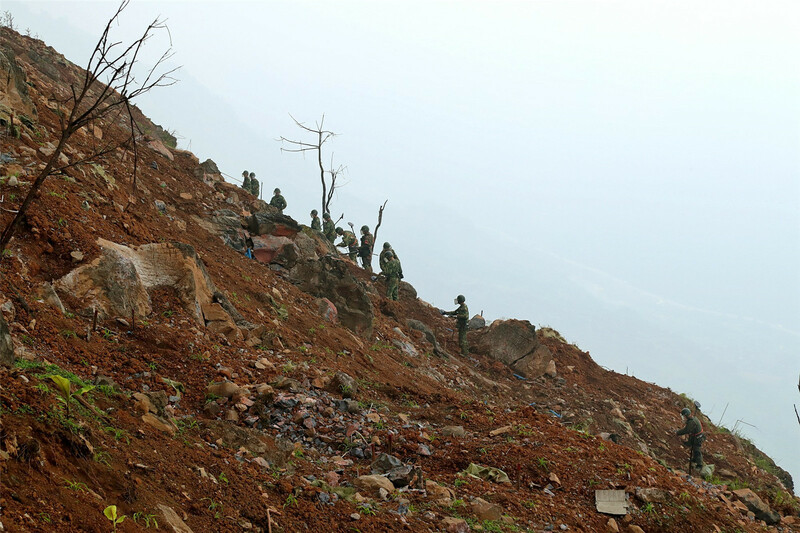 MALIPO, KUNMING, Feb. 9 (ChinaMil) -- Laoshan, located in southwest China's Yunnan Province, is a mountain on the border between China and Vietnam. An imposing border gate stands there at the foot of the Laoshan Mountain, with four golden Chinese characters "Zhong Guo Tian Bao" (Tianbao of China) on it glittering under the sun. The border area is very busy with large cargo vehicles passing ceaselessly and people hustling back and forth all the time. Located in the southern end of Malipo County, southwest China's Yunnan Province, the Tianbao Port is an important land route from China's Yunnan to Vietnam, Southeast Asia and South Asia. 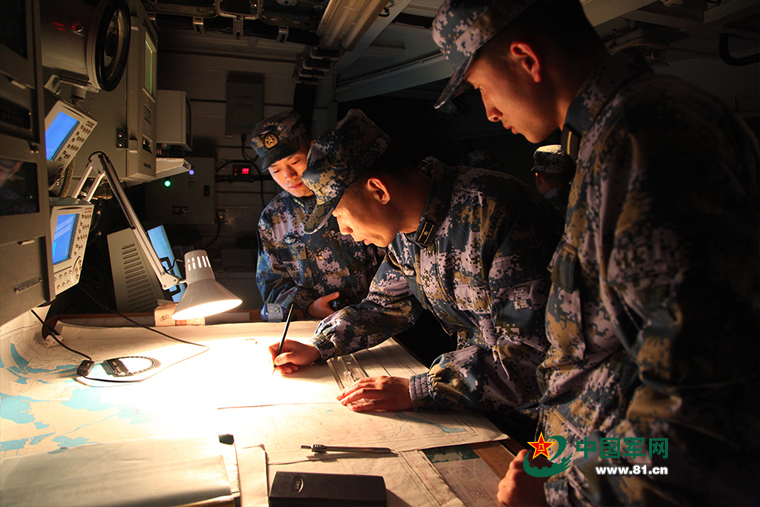 "This area leans against southwest China, faces southeast Asia, and leads directly to the Pacific Ocean. 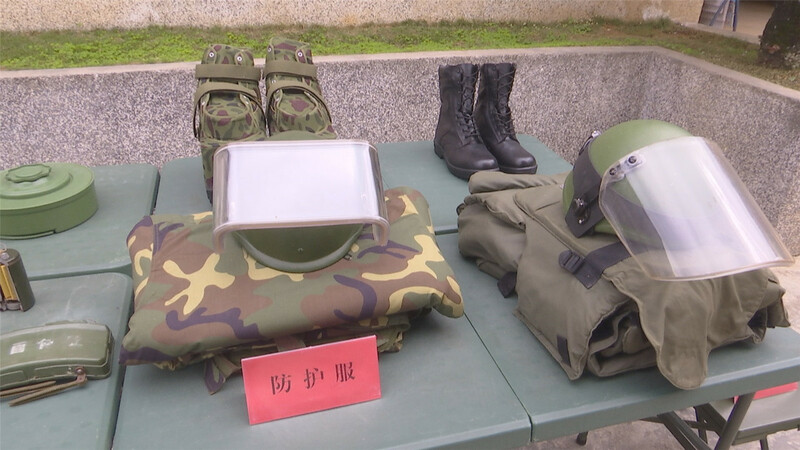 It is one of the key traffic routes on the Belt and Road," said Zhou Wenchun, political commissar of the Minesweeping Headquarters under the PLA Yunnan Provincial Military Command. 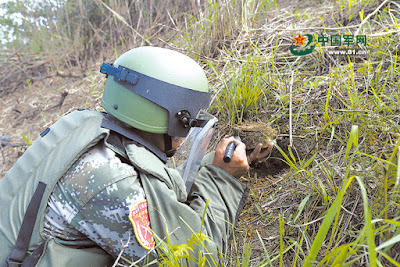 In June of 2015, over 400 soldiers were selected from the former PLA Chengdu Military Area Command (MAC) to form a minesweeping troop and dispatched here to dispose landmines and enclose the minefields permanently. "Clearing landmines left from earlier wars (War of counter-attack in self-defense against Vietnam in 1979) thoroughly on this route and in surrounding areas is a mission entrusted on us , " Zhou Wenchun added. February 6 in 2017 was the 10th day of the Chinese Spring Festival and people were still enjoying the holiday. 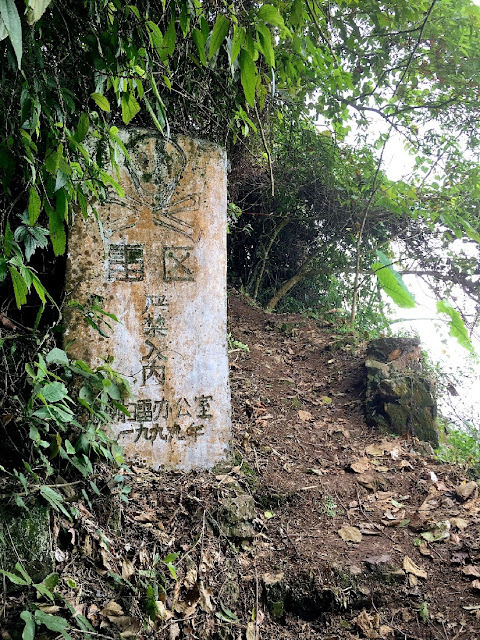 Following the footprints of minesweepers, we entered the Dongshan minefield in Balihe village on one side of the Tianbao Port. As we moved on along the rough mountain road, a warning sign reading "Minefield, No Entry " with a sketched skull on it came into view. 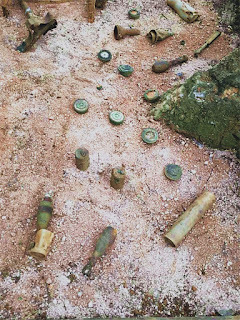 Guided by the yellow-and-white cordons, a safe path meandered from south to north along the mountain, where facilities for the minesweeping operations were set up next to each other, including the metal testing pit, collection pit, ignition station and medical care outlet. 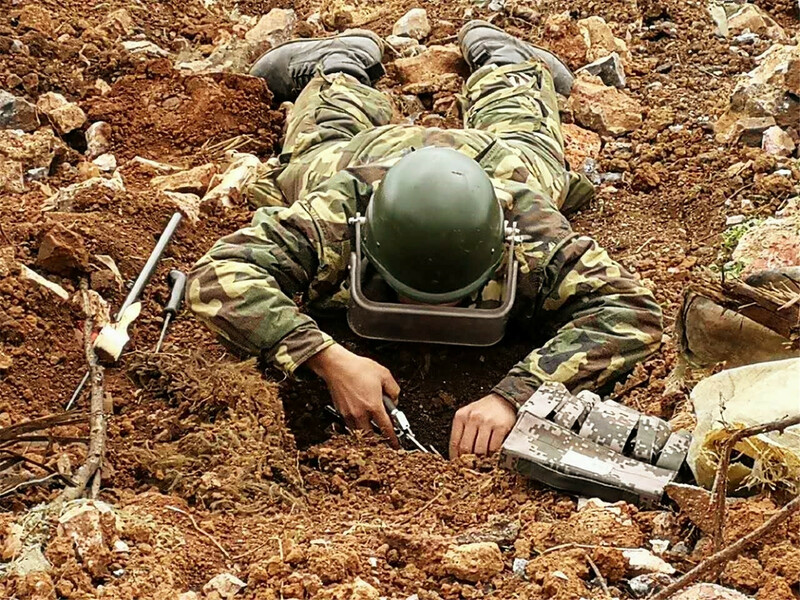 More than 30 soldiers wearing protective gears weighing tens of kilograms and armed with white safety ropes around their waists were searching and removing mines and shells on a slope almost perpendicular with the ground. Their right hands hold the mine detectors while the left grip the ropes. When the mine detector gave off warning sounds, the soldiers scanned over and over for confirmation, put out the detection needle, inserted it into the soil lightly to confirm the mine's position, size and type, and then marked it with a red flag. Sergeant Gao Binbin put down his detector with great care, got down on the ground slowly, and got out his shovel to remove the plants and soil on top in order to enlarge the mine pit little by little. 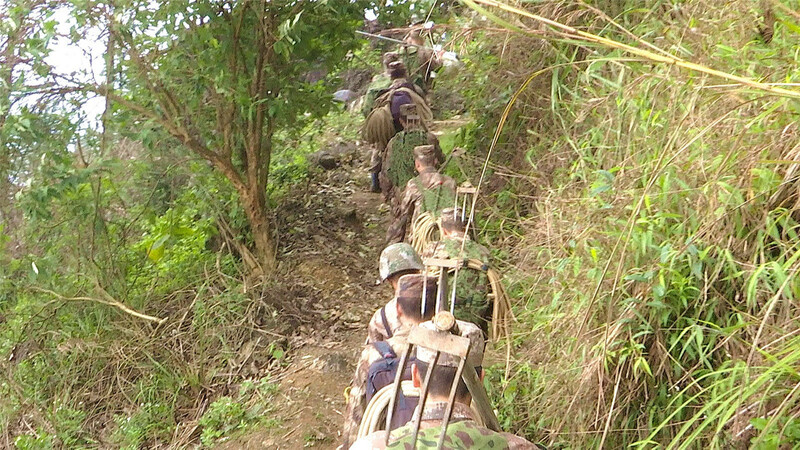 Sergeant Gao Bin was only meters from us. 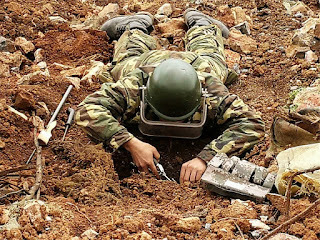 Under him was the cliff, in front of him were mines that would explode any minute, and we all felt very nervous for him. 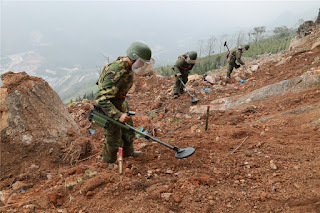 "This is the last minesweeping operation on the border areas in Yunnan. 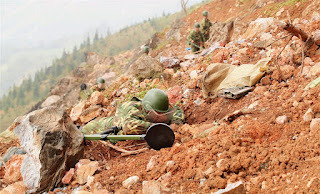 Apart from those permanently enclosed minefields, all other landmines have to be removed thoroughly, and almost all minefields are on high mountains and steep cliffs, sometimes there is no road at all, and the landmines are of large quantities and variety. 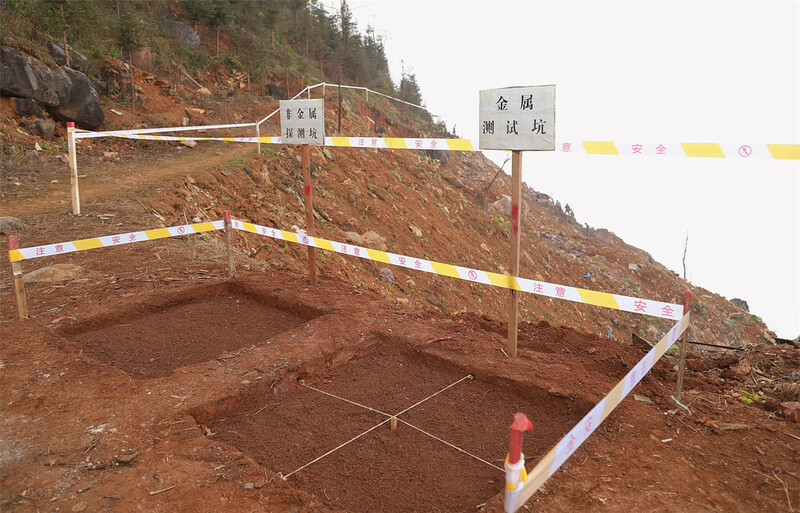 The minefields are full of danger at every step," Zhou Wenchun said. Since last June, minesweeping sites like this one have made Zhou Wenchun sad. 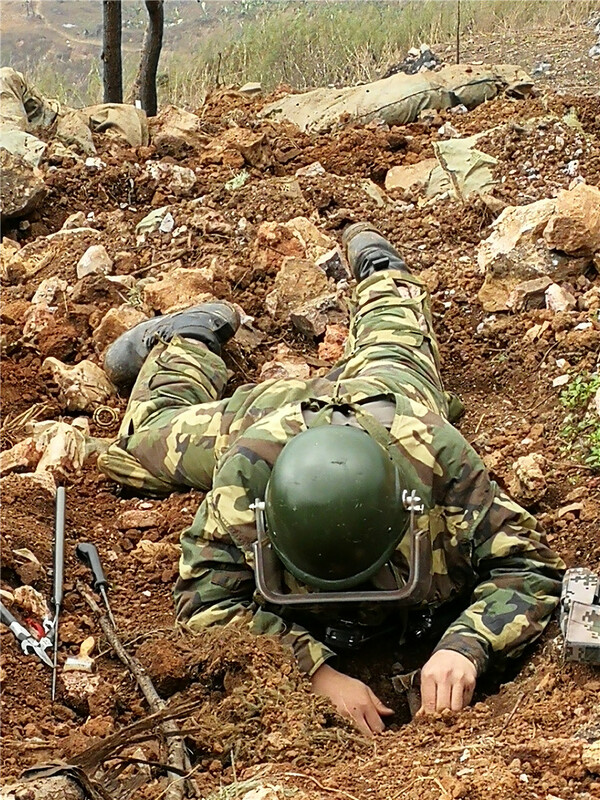 On the afternoon of June 4, 2016, Corporal Cheng Junhui discovered a mine on a steep slope, but while he was concentrating on rendering safe the mine, the rocks under him collapsed suddenly, and he fell to the valley floor more than 30 meters below. Cheng Junhui was severely injured and died despite an emergency rescue, a heroic end to his 22-year-long life. Standing on the edge of the steep minefield and watching those calm and fearless minesweepers, we were full of respects. Behind these heroes is a safe land. Walking from one minefield to another in Laoshan, we found that no matter how small and steep the minefield was, the minute the landmines were removed, local residents couldn't wait to sow seeds of crops. 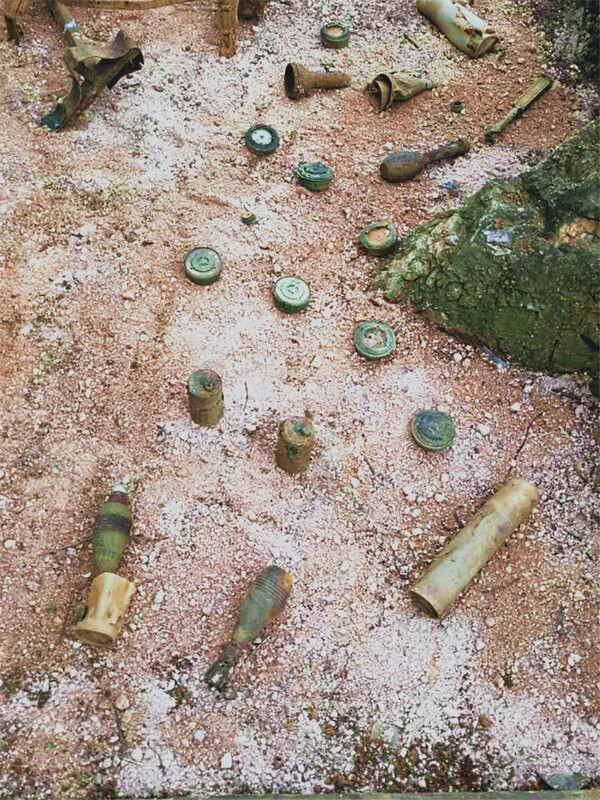 Today, the minefields that used to be deemed the "land of death" by locals are teeming with vitality. 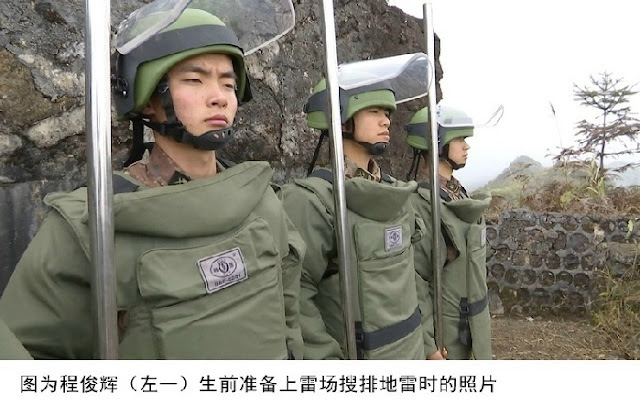 File photo shows Corporal Cheng Junhui (left) is ready for a demining operation. 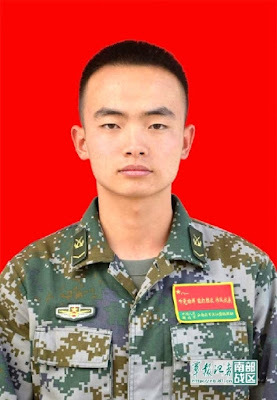 BEIJING, June 7 (ChinaMil) – Corporal Cheng Junhui with the Unit 3 under the Demining Command of the PLA Yunnan Military Command (MC) died in the third large scale demining operation along the China-Vietnam boarder on June 4, 2016. Cheng was recognized as martyr and was awarded second-class merit citation by the Yunnan MC. 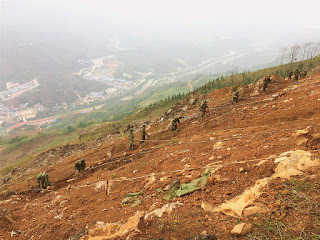 Officers and soldiers with Unit 3 were conducting missions in a minefield with a slope of over 60 degrees on the afternoon of June 4. 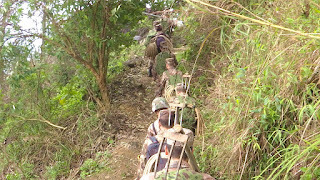 While, Cheng Junhui took the initiative to search the most dangerous section. When Cheng was removing the fuse of a mine, the mountain suddenly collapsed and he rolled down to a valley 30 meters deep. 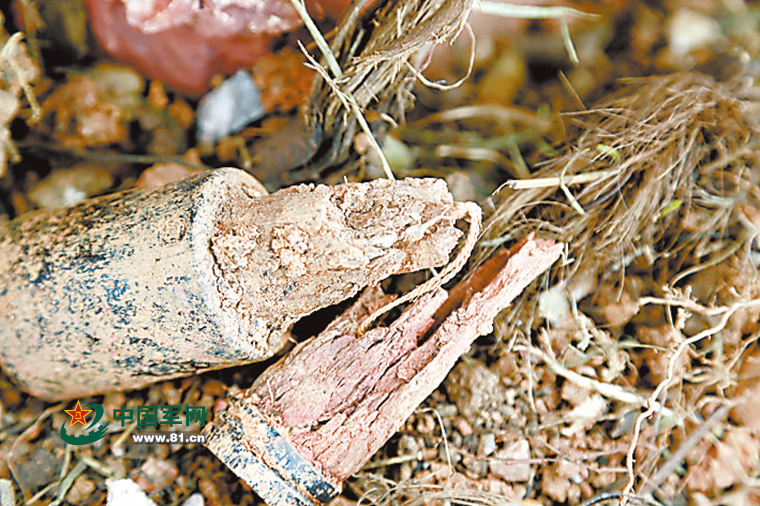 Cheng was rescued and rushed to hospital immediately. Unfortunately, Cheng died of his injuries at 22:00 at the age of 22. Cheng Junhui is from Chongqing of China. 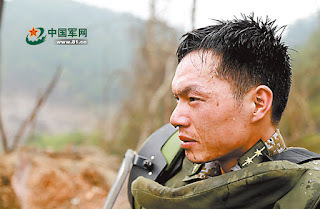 He joined the PLA 14th Group Army in December 2012 and joined the Communist Party of China (CPC) in August 2014. He started to act as deputy squad leader in the end of 2014. 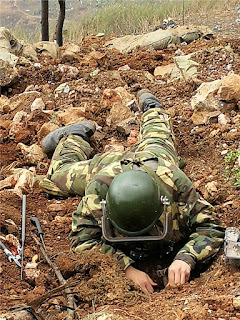 Cheng became a demining soldier of the PLA Yunnan MC after the deployment of demining tasks in Yunnan section of the China-Vietnam boarder in June, 2015. 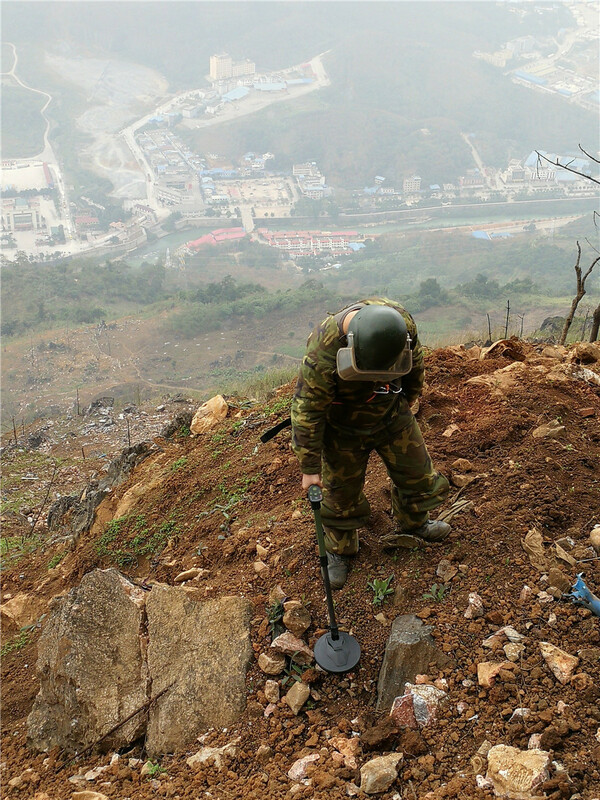 The third large scale demining mission along the China-Vietnam border officially started in November 2015. 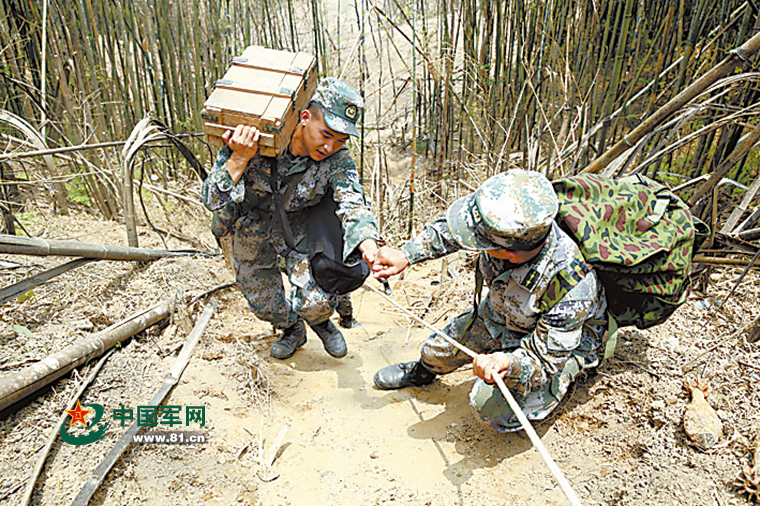 Cheng Junhui and over 400 Chinese soldiers have risked their lives performing demining tasks in Chinese territory. Cheng was always fighting in the most dangerous places during those missions. Up to now, the Chinese officers and soldiers have cleared a mined area of 14 square kilometers and demined nearly 30,000 of all types of explosives. Since 1990, both China and Vietnam have been conducting mine-clearing campaigns along their joint border. This is to address the legacy of the 1979 boarder war and the skirmishes that followed. 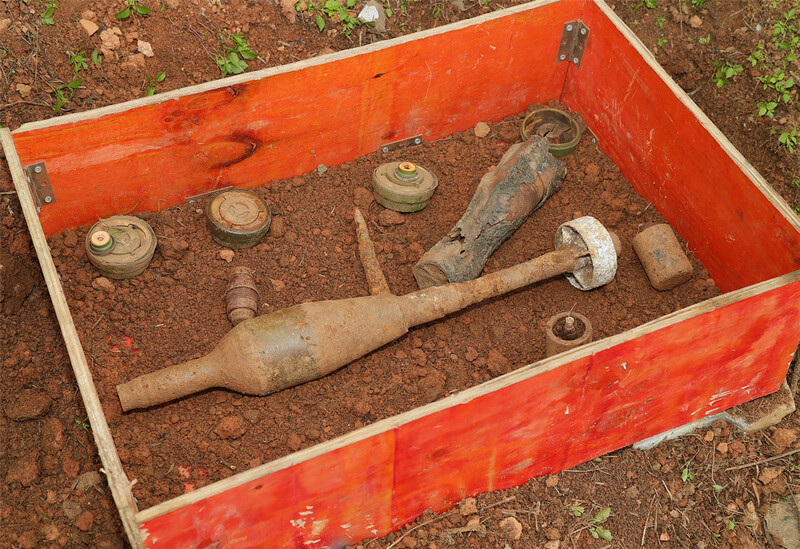 An estimated 2 million landmines were laid during the war. 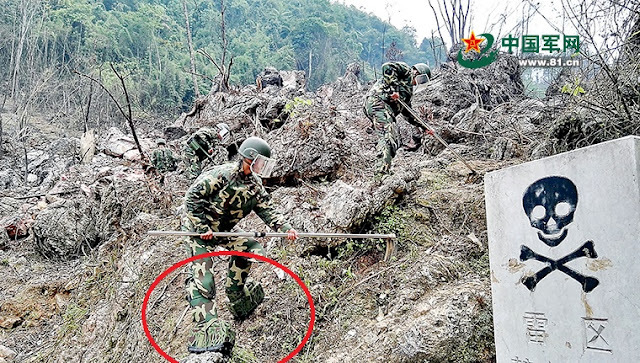 Around 6,000 people, aged between eight and 84, have been injured or disabled in Wenshan prefecture, 600 meters away from the frontier at the nearest, since 1979 after stepping on the landmines, which also killed a number of wild animals and livestock, Yunnan.cn reported in 2011. In Funing county of Wenshan prefecture, one or two people are still hurt every year by landmines, despite many mine clearance projects and warnings and fences set up around mine fields and its Tianpeng village, 600 meters from the China-Vietnam border, was once infamous in China for having "87 villagers with only 78 legs"
Note the mine-protection shoes he is wearing.